Rwanda has suspended BBC broadcasts in the Kinyarwanda language with immediate effect because of a film questioning official accounts of the 1994 genocide. The Rwanda Utilities Regulatory Agency (Rura) said it had received complaints from the public of incitement, hatred, revisionism and genocide denial. At least 800,000 ethnic Tutsis and moderate Hutus died in the genocide. 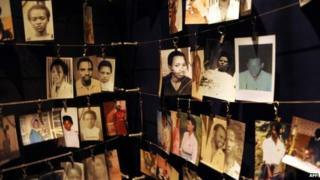 The BBC has denied that any part of the programme constitutes a "denial of the genocide against the Tutsi". On Wednesday, Rwandan MPs approved a resolution calling on the government to ban the BBC and to charge the documentary-makers with genocide denial, which is a crime in the country. Those killed in the genocide are generally believed to be mostly members of the minority ethnic Tutsi group, and Hutus opposed to the mass slaughter. The BBC programme Rwanda, The Untold Story, includes interviews with US-based researchers who say most of those killed may have been Hutus, killed by members of the then-rebel Rwandan Patriotic Front (RPF), which has been in power since 1994. The programme also included interviews with former aides of RPF leader President Paul Kagame, accusing him of plotting to shoot down the presidential plane - the act seen as triggering the slaughter. He has consistently denied previous such accusations. Rura said it had established a commission of inquiry to investigate the allegations it had received about the programme, after which further action may be taken. The cabinet is meeting next week to discuss parliament's recommendations. The BBC broadcasts affected by the suspension are produced by the BBC Great Lakes service, which was initially set up in the aftermath of the genocide as a lifeline service. Its first broadcast - BBC Gahuzamiryango, meaning "the unifier of families" - was a 15-minute transmission aimed at bringing together families who had been separated.